On Sale Now! 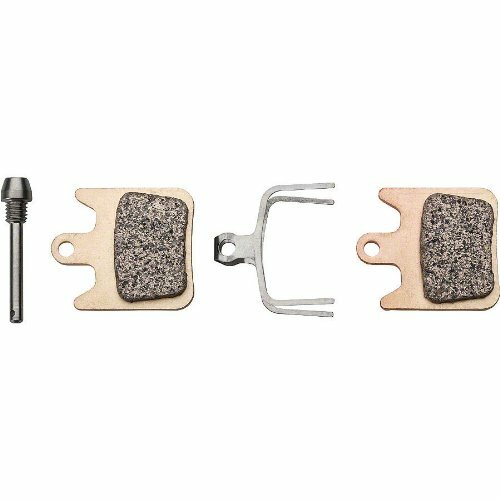 Save 5% on the Hope X2 Sintered Brake Pads (2 piston pads) by Hope at Joes V Cycle. SKU: BR1764. MPN: HBSP237S. Hurry! Limited time offer. Offer valid only while supplies last. Hope X2 2-Piston Disc Brake Pads are dyno-tested in-house in Barnoldswick, UK. Sintered: high-graphite compound; best for wet-weather durability. Hope X2 2-Piston Disc Brake Pads are dyno-tested in-house in Barnoldswick, UK. Sintered: high-graphite compound; best for wet-weather durability. Compound: Sintered. Heat Sink: No. Pad Shape Number: 41. Backing Plate Material: Steel. Hope X2 2-Piston Disc Brake Pads are dyno-tested in-house in Barnoldswick, UK. If you have any questions about this product by Hope, contact us by completing and submitting the form below. If you are looking for a specif part number, please include it with your message.